Applications for the MOE Independent School Bursary (ISB) are now open for eligible students who are Singapore Citizens. 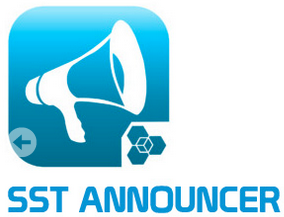 Current ISB awards will expire on 31 December 2014. Current recipients are required to submit a fresh application for 2015 if they wish to continue receiving the MOE ISB. Interested applicants may obtain the application form by either downloading the form HERE or collect a hardcopy from SST General Office. Completed applications are to be submitted directly to SST General Office for processing. Applicants are strongly encouraged to ensure the proper submission of applications with all required supporting documents; incomplete forms will NOT be processed. The application deadline for awards to commence from January 2015 is 30 November 2014. Applicants who qualify for the 100% ISB are strongly encouraged to submit their applications as early as possible to facilitate processing and approval. Students may also apply for the MOE ISB at any time throughout the academic year should the need arise. The subsidy will commence in the next applicable month post-approval. And in accordance with MOE guidelines, there will be NO backdating of award regardless of application outcome). Should you have any further queries on MOE ISB, please contact Ms Claire Lui of General Office at 6571 7200.